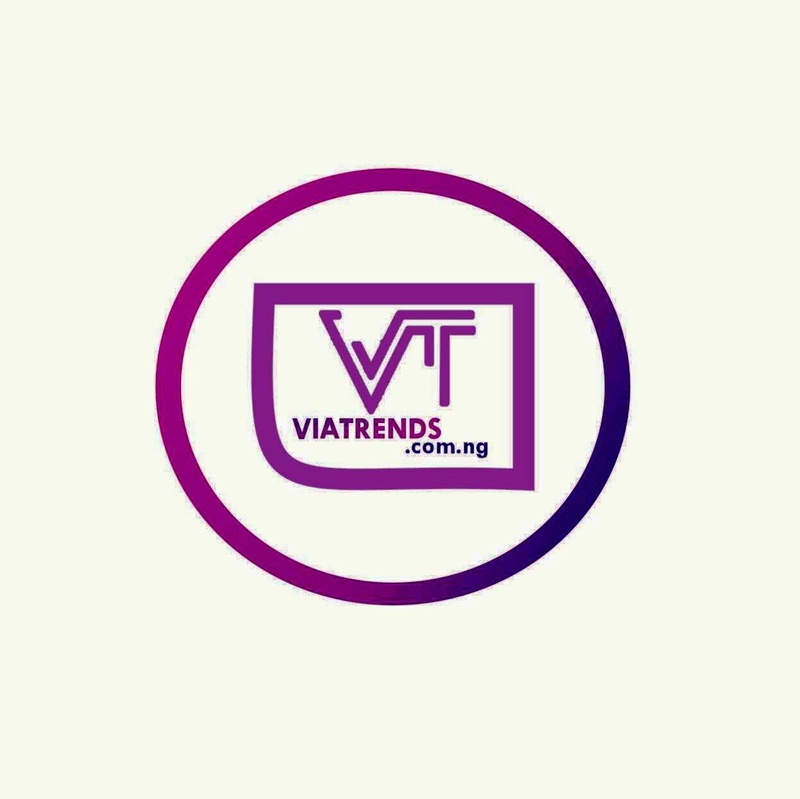 Davido has gotten some accolade rendition’ from Senator Ben Bruce and Reno Omokri, over his input to see that his uncle,Senator Ademola Adeleke secured victory in Osun election. 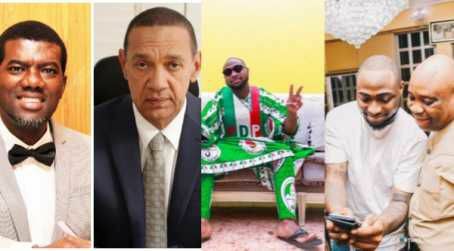 Penning down a post to Davido, Senator Ben Bruce wrote; Dear. @iam_Davido, Anyone that has a son or a nephew like you does not even need federal power. God has blessed that person with a power mightier than that wielded by the clueless @OfficialAPCNg. The @OfficialPDPNig has a lot to be grateful to God over you and your steadfastness! 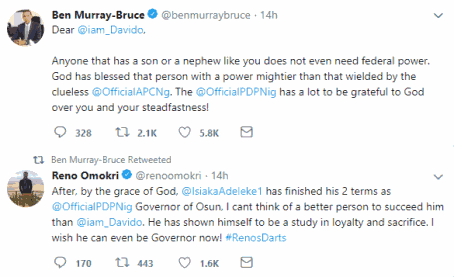 Reno Omokri also wrote; After, by the grace of God, @IsiakaAdeleke1 has finished his 2 terms as @OfficialPDPNig Governor of Osun, I cant think of a better person to succeed him than @iam_Davido. He has shown himself to be a study in loyalty and sacrifice. I wish he can even be Governor now! #RenosDarts We reported that Davido, who has been a huge support to his uncle, Senator Ademola Adeleke who is PDP’s Governorship candidate in Osun State, had also reacted to recent development which saw the Independent National Electoral Commission, INEC, declare Osun election inconclusive.